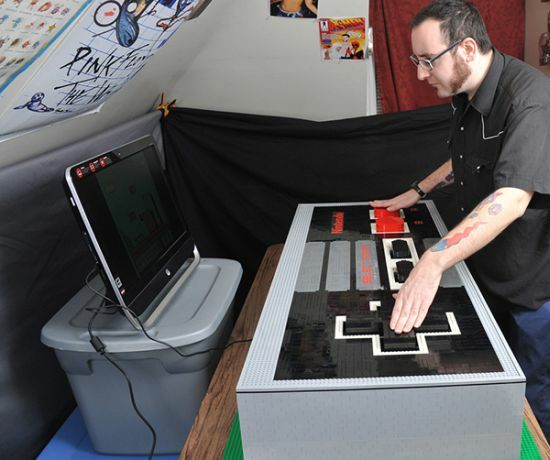 Finding your regular NES controllers too small to enhance your performance in the virtual world, designer Baron Julius von Brunk has developed huge functional NES controllers that needs the user to stretch his/her arms to perform better to excel in the gaming world. 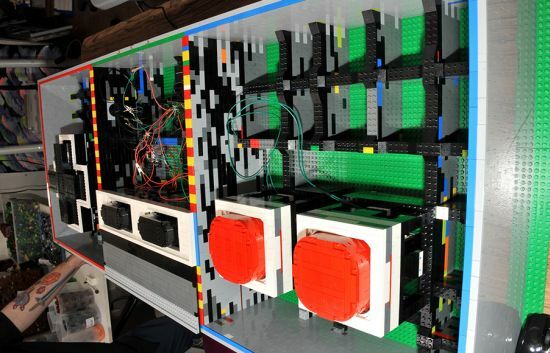 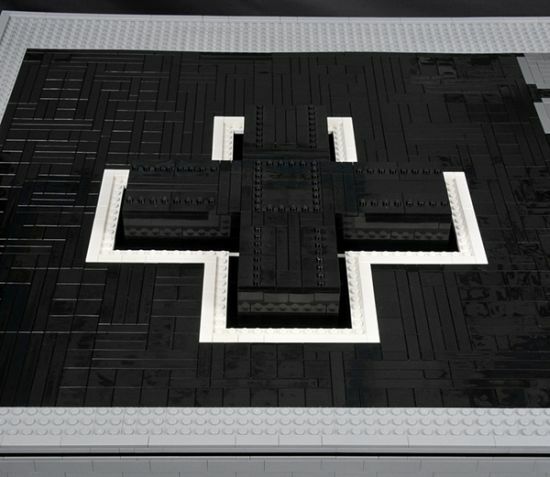 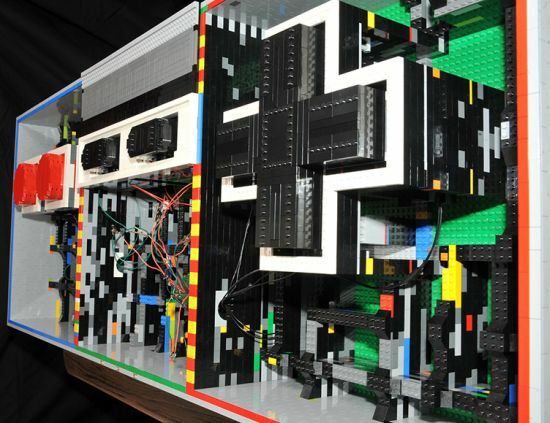 Made almost entirely from LEGO, the massive NES Controller includes the bricky buttons and the d-pad to small push buttons, attached the circuit board of the controller. 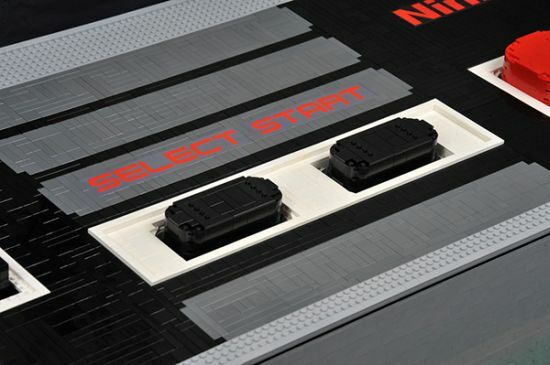 Featuring spring-loaded modules crafted from tech pieces, so the big LEGO buttons don’t get stuck on the small push buttons, the big LEGO Controller works with regular size NES consoles. 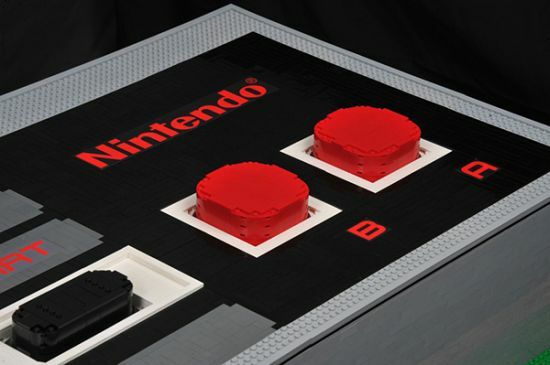 In addition, the NES Controller connects to a USB converter to let the user play NES games on a regular computer.